I found mold in the attic – what should I do? 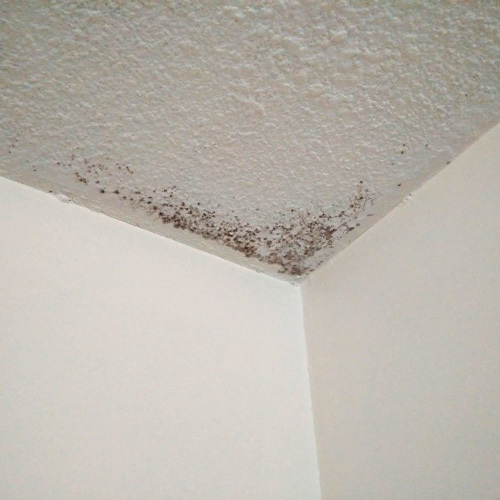 Attic mold is caused by excessive moisture; there are many factors that can cause moisture inside of an attic. All attics come in different sizes, roof peaks and layouts. 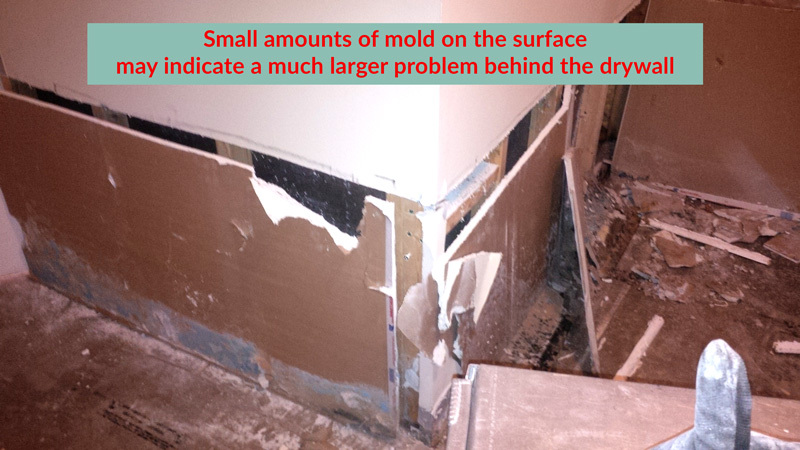 Mold growth can also vary in size and deterioration. It’s very important to find and correct the cause of mold in the attic. 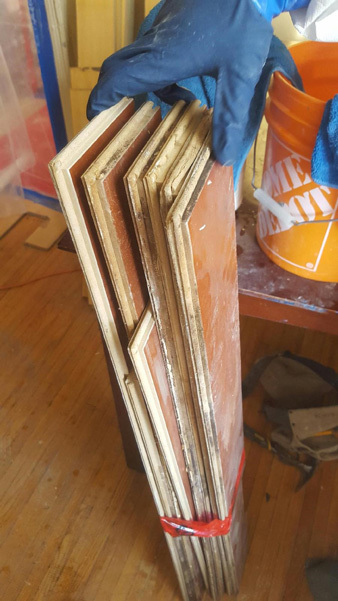 You will need a trough inspection by a qualified professional to determine the exact cause or causes and generate a plan in how to correct it permanently. Is it safe to live inside the house since I have found attic mold? The attic is usually NOT part of the living space unless is finished, so the answer is YES. There is no cross contamination of spores to other areas unless disturbed or spread by workers or anyone working in the attic. What’s the cost of attic mold removal? It really depends on the size of the mold contamination and the work that is needed to correct the moisture issue that caused the deficiency. Most attic mold removal work starts at a cost of $500 and up depending on items already mentioned above. 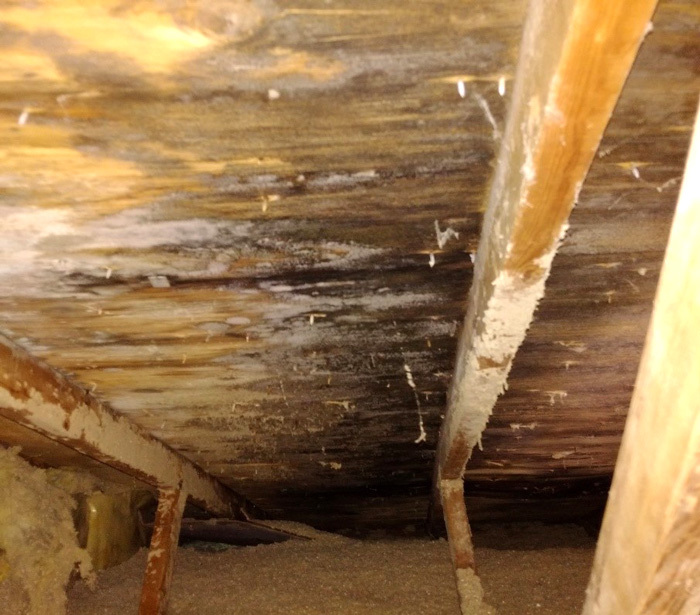 If you think you have attic mold, call us for a free inspection at 416-791-8020. I found mold in my carpet – what should I do? Most carpets manufactured today are made of nylon fibers (polypropylene). Polypropylene is a type of thermoplastic polymer resin (plastic), and therefore a non organic and not a food source for mold or bacteria to decompose. We use the same material in many other household products like, food containers, toys, microwaves, etc. 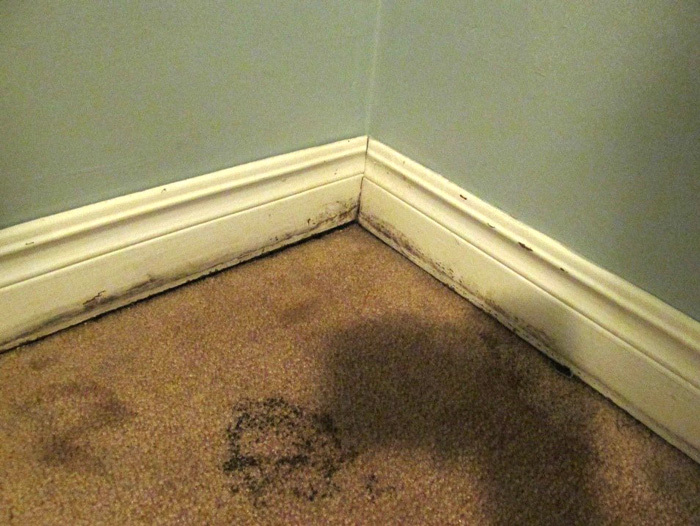 Mold on the carpet is usually on the dust accumulation on top of the carpet or in the backing of where glue is binding the fibers together and can be a organic source of food. Typically if water damage to the carpet is attended rapidly and comes from a clean water source, and not sewage or other grey waters, the carpet can be salvageable and only the under pad needs to be removed and replaced. 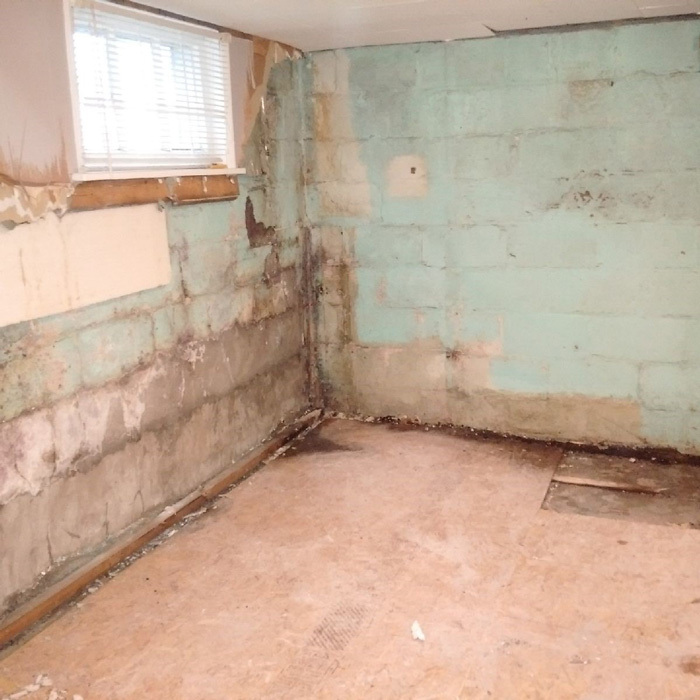 I found mold on my insulation – What should I do? 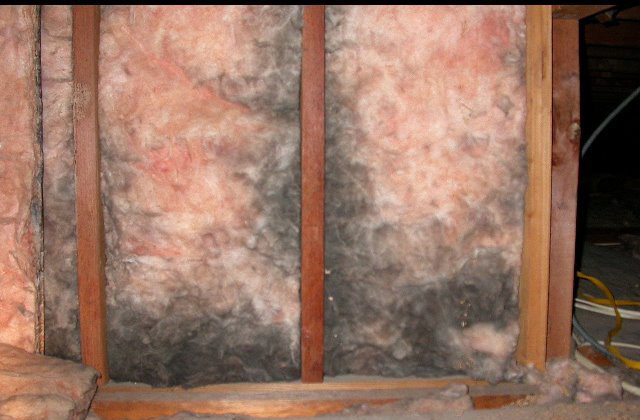 Unless you have paper backed, or wool insulation, mould does not decompose fiberglass insulation. 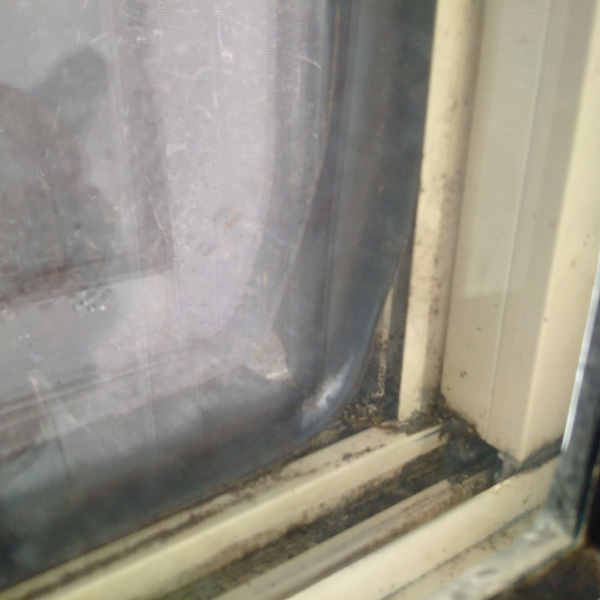 Most often mould is found on the dust in the insulation, sometimes like the picture above the dark areas are dust caused by thermal bridging (air infiltration) and not mold. It’s always safe to discard the insulation to prevent the dust to develop fungal growth if moisture develops. If that sounds like you, call us for a free inspection at 416-791-8020. 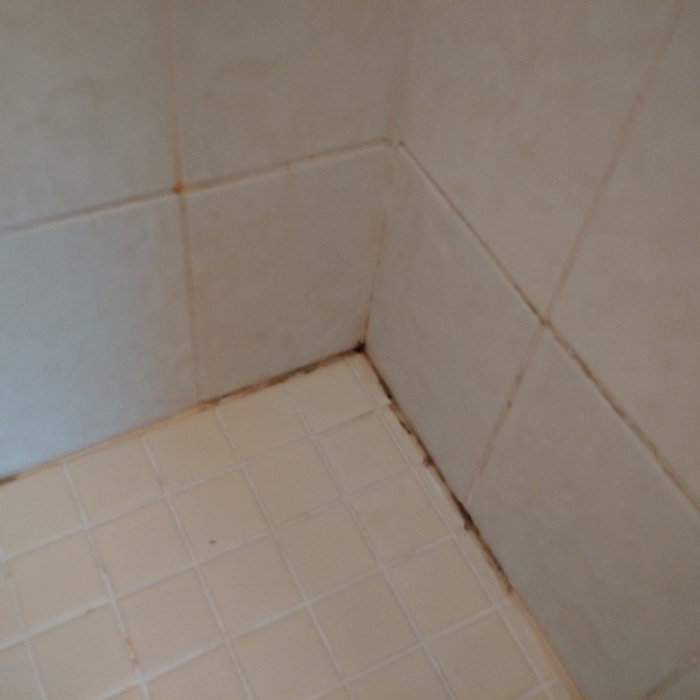 I found mold in the shower caulking – what should I do? I found mold in the shower/bathtub caulking – what should I do? If mold is visible on the caulking in the shower or bath tub, then that immediately tells us that the wrong type of caulking was used. Caulking is for baseboards and interior doors – not for bathrooms or kitchens where moisture is present. Bathrooms and showers will always have moisture due to their nature, and therefore require 100% silicone to be used instead of caulking. Silicone is not organic and therefore is not a food source for mold. 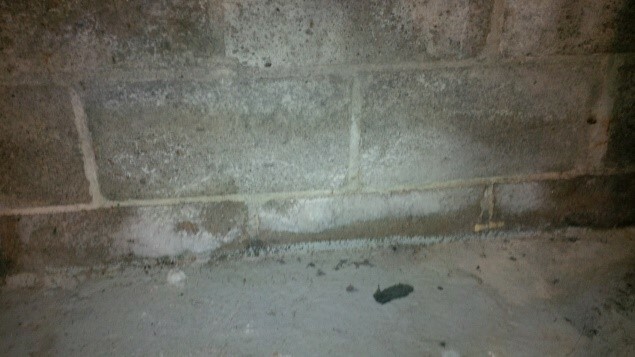 Caulking on the other hand is a food source for mold. Silicone is mold and mildew proof and most manufacturers guarantee it. Here is one product we recommend. Not do anything- this is the worst option of them all! 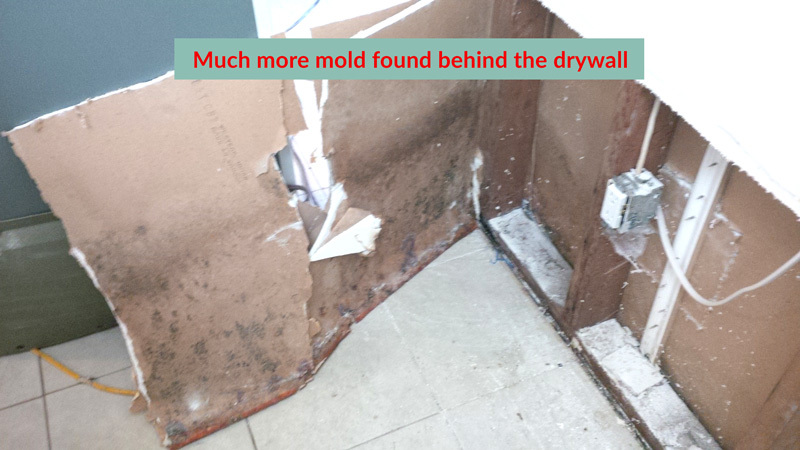 Mold will continue to grow and possibly spread to other areas of the bathroom.